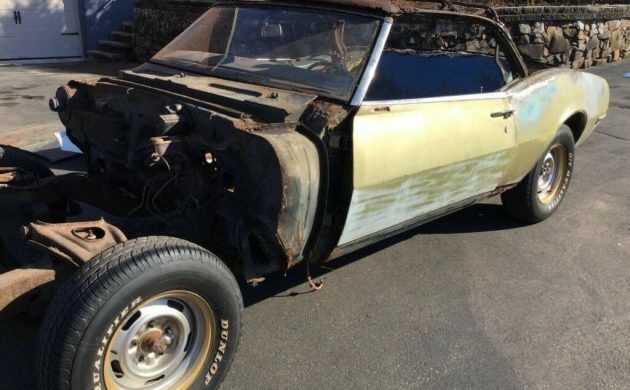 As I gaze into my crystal ball, what I see in the future for the next owner of this 1968 Camaro Convertible is a lot of work. 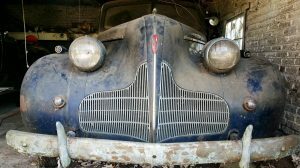 It is going to take a person with a stout heart to take it on, but if the work is done properly, then this could be a really attractive car once restored. 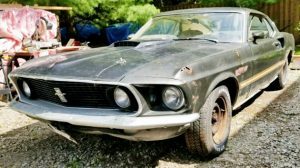 Located in Cromwell, Connecticut, you will find the Camaro listed for sale here on eBay. Let’s start with the positives on this car. The first is that the body is essentially complete. The front fenders and hood aren’t attached, but they are there. The fenders look like they may have some rust in the bottoms, but that doesn’t look to be too bad. The rockers also don’t look bad, and the owner does say that the frame is solid. Now we come down to crunch time. There is rust in the driver’s side quarter panel, along with some in the trunk floor. The rest of the floors are pretty bad, and all will need to be replaced. 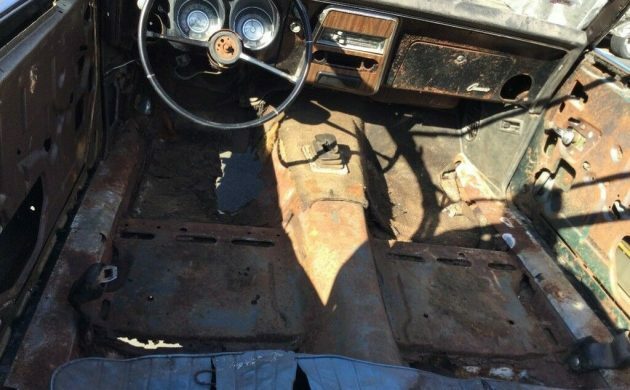 The manual soft-top is also destroyed, and it is hard to tell whether its frame is in a position to be restored. There is precious little of the interior left in this Camaro aside from a few minor pieces of trim. The owner does say that the dash is solid, although in this shot you can see just how severe the rust is in the floors. I’m sure that we’ve all seen worse rust than this. This still isn’t going to be a quick fix, but it will represent a major commitment. The other thing that is missing is the engine and transmission. According to the VIN, this Camaro was originally equipped with a V8 engine, and the owner says that the transmission was manual. 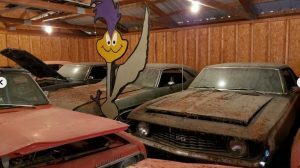 The owner does have a good 350ci V8 and a Muncie M20 transmission that he is willing to include with the car at extra cost, although he doesn’t specify what that cost actually is. 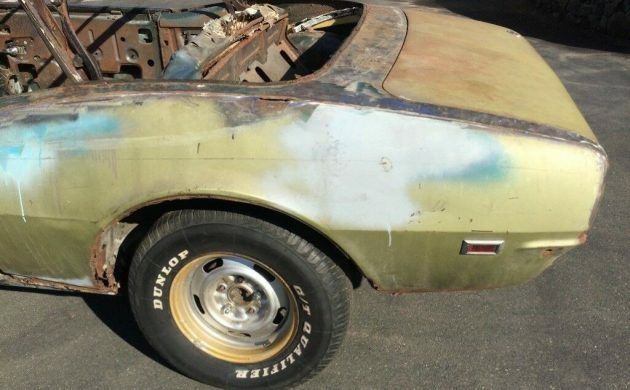 This Camaro Convertible represents a major restoration project for someone, and it is not the sort of project that will be completed over-night. On the positive side of the equation, all of the parts and panels that would be required are readily available and easy to source. 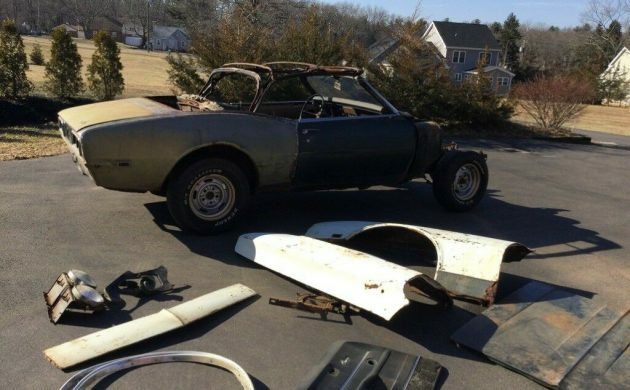 This is a car that will undoubtedly require a frame-off restoration to do the job properly, but in its current state of disassembly, getting it completely disassembled is not going to be a big job. The owner has set a BIN price of $6,500 for the Camaro, but the option is there to make an offer. This is a project that is going to require a pretty dedicated individual to see it through to completion, and I wouldn’t mind betting that the person is out there somewhere. Its a really easy fix. Dynacorn! You’ll have a better tighter car in the end. There ain’t enough love for Bondo to even think about fixing this rusted hulk. these first gens are a good way to have a good time. 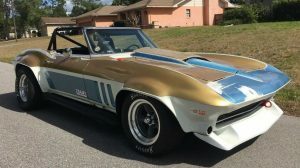 In my opinion ,outside of a great resto mod, it needs to become an RS/SS to even get someone interested in a restored version. Forget getting any money for your time back. The parts and materials costs will exceed what this vehicle will ever be worth in any form. Sad but true. This on just might NOT be worth restoring. I don’t often say that. It would be funny if there was an Army guy named Major Project.